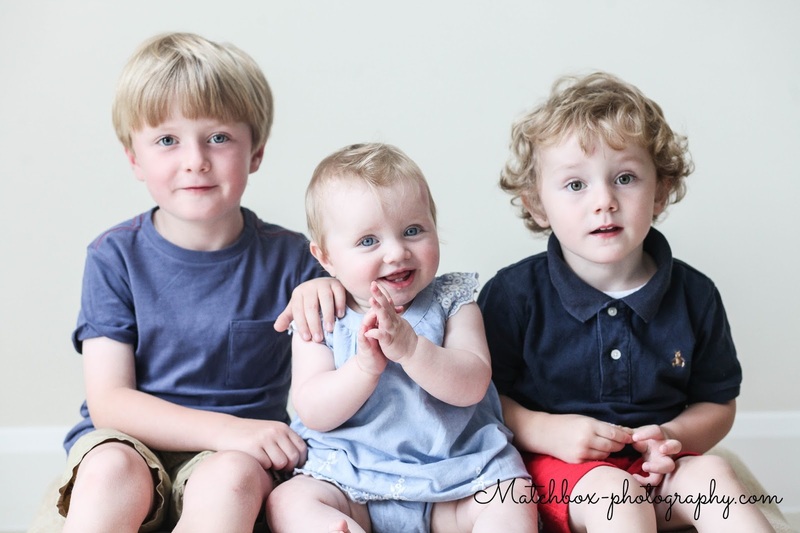 This photograph of these three amazing, bubbly and beautiful siblings has been taken recently in the living room of their house. It was lit by two large windows and the kids sat on a simple pillow in front of a brightly coloured wall, no extra props or artificial lighting was needed to get the finished result! I think what attributed to such a lovely session was that it took place in a very relaxed atmosphere, with lots of patience and in the morning, when the kids were full of energy and excitement. From experience, the session runs smoothly if a treat or some other form of reward is promised for after the session, this way everyone is patient during a long shoot. We had a great time and these pictures will be cherished forever - I think that is an aim of a good photographer, and the standard of discreet professionalism should be kept each time in every house or studio.